Every child and every family is unique, but in the U.S. there’s one universal truth about parenthood: It’s not cheap. In fact, according to the U.S. Department of Agriculture, which scares the dickens out of parents annually with its calculation of the total costs of raising a child, a baby born in 2013 will run parents just under $250,000 from birth until age 18. Adjusting for projected inflation bumps this figure to just over $300,000. And that’s just for food, housing and other expenses related to child rearing. It doesn’t include the cost of private school or a college education. And keep in mind that those figures are national averages. Your income and where you live will heavily influence your actual costs. Those who earn more tend to spend more, as do those who live in areas with a high cost of living — such as the San Francisco Bay Area. 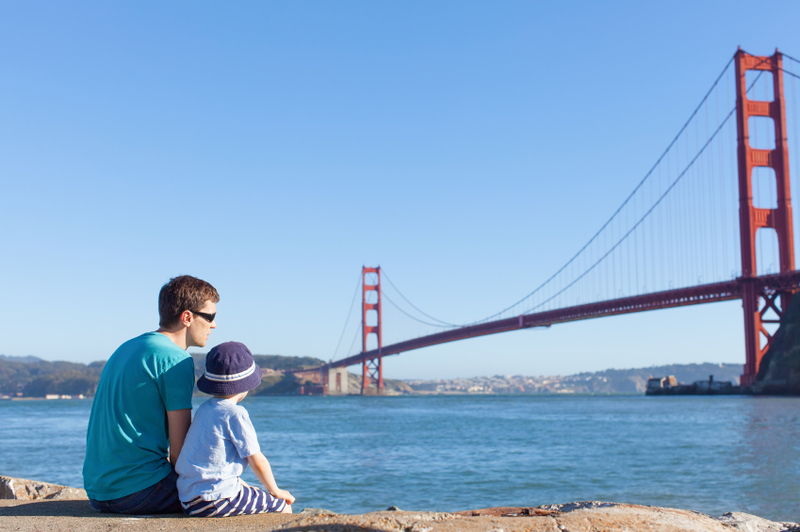 As advisors in the Bay Area, we know it really does cost more to raise kids here because we see it firsthand. We work with many high-net-worth clients. These are people who have successful careers, make smart investing decisions and have built themselves healthy nest eggs. Yet many of them still struggle with the high costs of raising a child. Although federal law now requires insurers to cover fundamental maternity and newborn care, one study by Truven Health Analytics found that even uncomplicated births covered by insurance averaged $2,244 in out-of-pocket costs. For Cesarean births, average out-of-pocket expenses were $2,669. Many factors can further increase costs, including complications during pregnancy or birth, infertility issues, surrogacy and adoption. In many Bay Area couples, both partners work, so day care is a must. Costs vary depending on the type of provider you choose. For instance, the average monthly cost for an infant in a child care center is about $1,900, while a full-time nanny for one child averages about $3,300 per month. A private education is fairly common in the Bay Area, with around 20% of K-12 students attending private schools, according to data from the U.S. Census Bureau. Private schools in the Bay Area range from about $10,000 to $40,000 per child per year. Are you financially prepared to pay the equivalent of a year’s college tuition for your child’s primary education? Or are you open to the idea of public school? We see many families move out of the city around the time their children start school. Public university costs in California are around $25,000 per year, and private schools like Santa Clara University or Stanford cost north of $55,000 per year. It’s important to start putting money aside for college early on. Many families need to move into a bigger home when they have children — but housing prices in the Bay Area are notoriously high. Is your current home adequate for a growing family? Will you be able to stay put, or will you need to move farther out in the suburbs to find affordable housing? When you’re making such a momentous decision as whether to start a family, how do you even begin to talk about money? I can’t answer that, but I can tell you that you need to have the conversation. Start by looking at your cash flow. Do you have at least $1,500 to $2,000 in discretionary income each month? If not, you may need to make some serious changes to your budget, or you could find yourself struggling financially after the baby arrives. Only buying a home and saving for your retirement are bigger financial commitments than becoming a parent. In the end, you’ll have to decide for yourself what your priorities are and how you’ll create a stable financial future for yourself and your family. While there are many quantitative factors to weigh before starting a family, there are also many qualitative benefits. For many parents, the rewards are worth any sacrifice. Be money smart. NerdWallet tracks your spending and gives you personalized tips on ways to save.